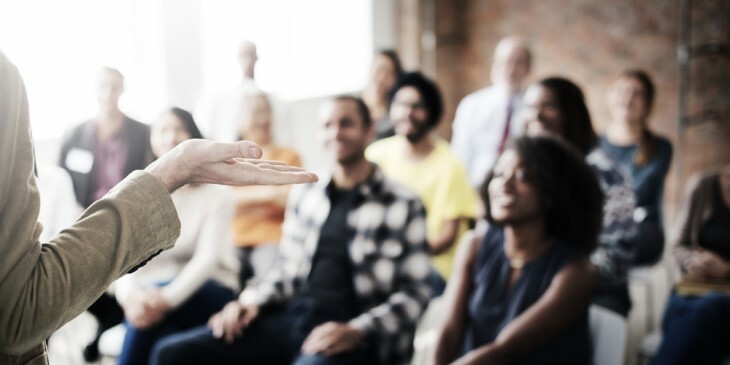 When it’s my turn to host a networking meeting, I always consider what are the best ways to strengthen business and professional relationships among the attendees and get them to get the most out of the meeting. The hosts of networking meetings are responsible for “breaking the ice” to enhance the creation of synergies among attendees. There is no exact formula to practice networking successfully, but there are a series of strategies that will allow us to improve our actions in these meetings. Networking is an evolutionary process: as you attend more meetings, you are better able to establish professional contact with others and find useful connections. Here are five tips to be good hosts. Receive attendees at the entrance door of the event. Have the precise attention with them, take care of them as much as you can and attend them from minute zero. There is nothing better to take a proper impression of an event that you receive at the entrance with open arms. Make the meeting participatory. It acts as a facilitator and introduces the attendants to each other. Become a participant in the conversations at the beginning, encourage dialogue and be the initiator of it; make the attendees feel comfortable and everything will go smoothly. Do not forget that although the main topic will be business, the conversations do not have to be boring. Attend the attendees and offer them advice when asked. Being part of the conversations, not only as a host, but also as a participant, will help. And a lot. If you make the audience see that you know how to practice networking, and especially how networking is practiced, they will relax and be more receptive during the meeting. Be interested in the projects and the needs of the attendees. Participate with them in conversations and show interest in what they are talking about. Also do not sound pedantic, but pay attention. Take care of the most timid. Be attentive to the different situations that arise, because sometimes you can catch a glimpse of some “wayward” that is not part of the meeting due to shyness. Let him know that his ideas are valid for him to participate. Every good host must capture these situations and correct them. Before and after the event. As host you must know the profile of your assistants, the most usual and simple is to interact with them in the different professional social networks and after the event you should be interested in them and get the assistant to be productive and useful to have attended what they offer Help to connect is a good way to earn points.